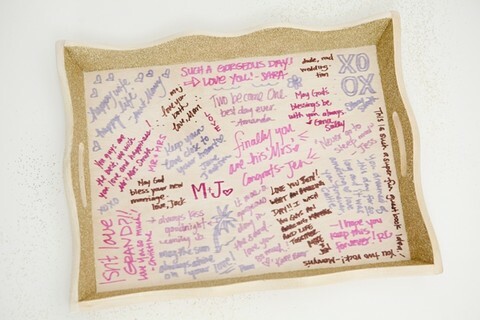 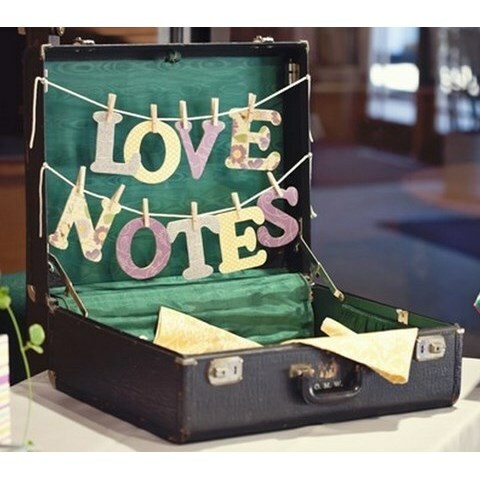 There’s no wedding without a guest book, all the guests should write down their names and maybe some wishes for the newlyweds. 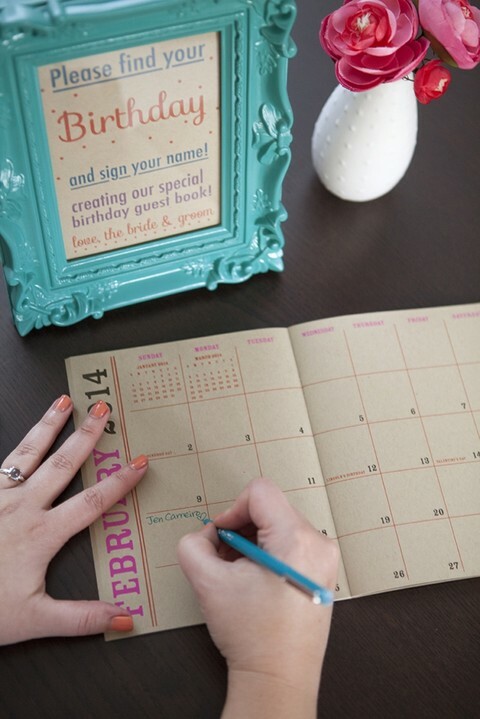 You can buy it or make something special and personalize it as you wish. 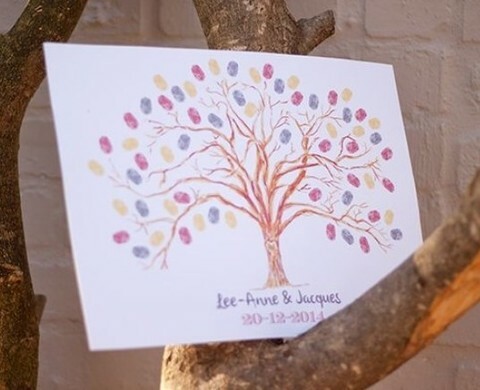 As it’s fall, why not go for nature theme and paint a big tree for your guests to leave fingerprints? 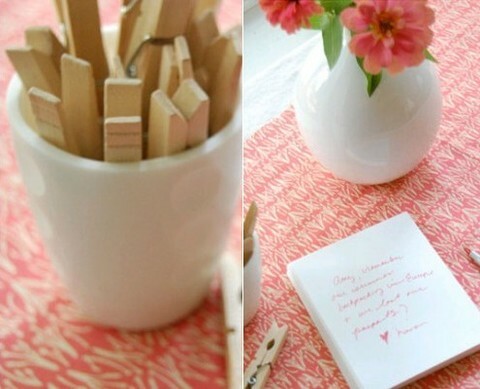 Easy-peasy and original! 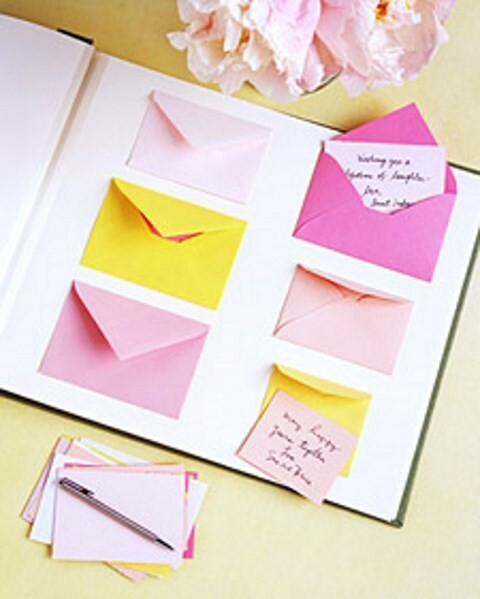 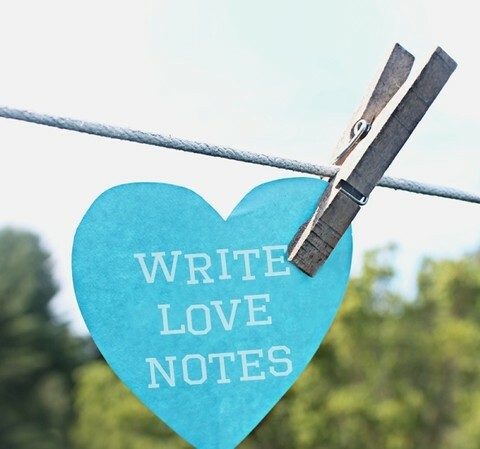 Love notes are popular and not difficult to make, try various shapes and colors. 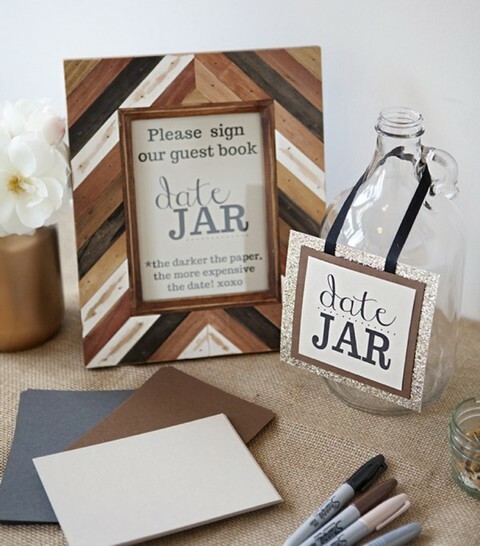 I was excited about the idea of a wedding guest plate where the guys can leave their messages with a sharpie. 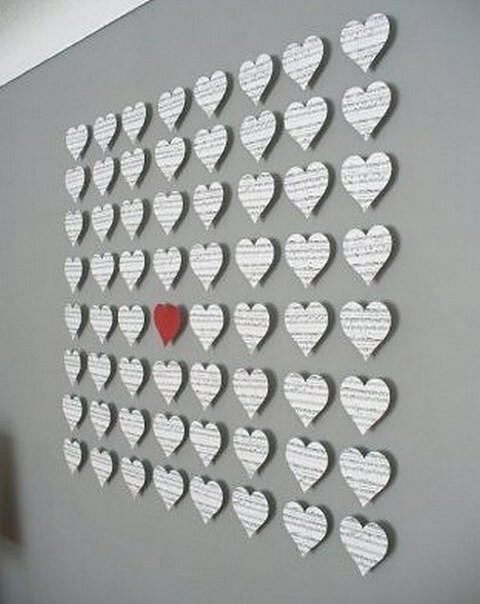 Such an idea is very budget-friendly, will save your time and you can make any patterns or write any quotes on it, and after the big day it’ll become a cool home decoration that will remind you of your wedding. 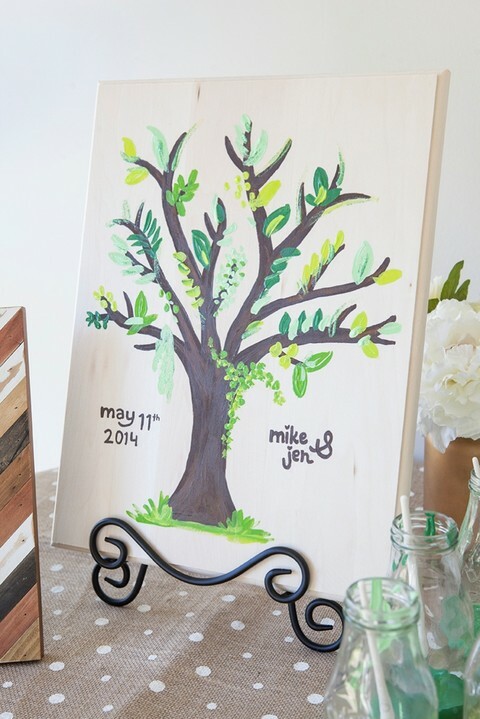 Find various DIYs below and pick some for yourself!